Is MRSA Contagious and How does MRSA Spread? Searching for something about Staph or MRSA? MRSA and Staph spread most easily by touching contaminated surfaces, touching people who are infected or are MRSA “carriers”. MRSA is a contagious bacterial infection that spreads through direct skin to skin contact with people, or by touching contaminated surfaces, however MRSA can also move through air. People with active MRSA or Staph infections are more contagious, but even MRSA carriers who are not infected can spread it to others causing infections. While most MRSA infections used to come from hospitals, community MRSA infections are spreading rapidly in places where children, teens and adults spend their time. Even pets are getting these difficult infections. As MRSA continues to spread in the U.S. and abroad, you are likely exposed more often than you realize. Because MRSA is resistant to many antibiotics, it can be a very dangerous infection. Be sure to understand the risk factors for getting MRSA, find out about treatment options that work and safe prevention methods. How is MRSA transmitted by people? Who gets MRSA? Is MRSA contagious? Yes. Anyone can get Staph or antibiotic resistant MRSA infections. It can happen to babies, children, young and old, rich or poor. The young and elderly are at more risk because their immune systems are not as strong. Just because you met someone or touched someone who has MRSA, it doesn’t mean you’ll get it too. MRSA in the community most often causes various types of skin infections. MRSA symptoms can range from boils, rashes, red pus filled bumps, to more severe cellulitis. See pictures to identify the different skin infections on our symptoms page. Is MRSA contagious after every exposure? Not necessarily. Just because you are exposed or touch someone with the infection doesn’t mean you will get it yourself. The bacteria need to get inside your body to cause an infection. Many factors can come into play as well as your overall immune strength. Risk factors include: your age, medical conditions (like diabetes), stress level, amount of exposure, route of exposure (did you get the bacteria into an open cut on your body), a history of recurring infections, medications that suppress your immunity and the strength of your immune system. Click here for activities that increase your risk for getting MRSA. Roughly 30% of people carry Staph (and a smaller percent carry MRSA) bacteria on their skin and don’t even know it. They may never get infected and have no idea they carry it. These people are called “carriers”. Staph or MRSA carriers can transmit the bacteria to others who can then become infected. Common signs of skin infection ections like boils, cellulitis: click here for symptom information. How long does MRSA survive on surfaces? MRSA bacteria can live for weeks on counter tops, door knobs, toys, furniture, sports equipment, TV remotes, and the list goes on. While alive, the bacteria can spread to people or pets from any contaminated surface. How long MRSA can live depends largely upon the temperature and humidity levels as these bacteria like warmer, more humid environments. Is MRSA contagious through the air? Yes. These bacteria can pass through the air on dust and other particulates from those who are infected, or from carriers. It’s common for healthcare surfaces like railings, tables and counter tops to have MRSA bacteria on them, either from direct contact or from the air. Your risk of becoming infected is increased by being close to infected people, like if you are caring for or around those who are sick. There is also a higher risk of getting these infections through the air in hospitals, nursing homes and in other healthcare facilities where these infections are more prevalent. Click here for more about airborne MRSA. 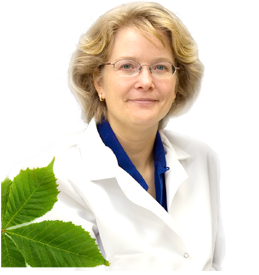 Diffusing medicinal essential oils has been shown to reduce MRSA in the air, and is one of the easiest ways to prevent airborne transfer of these bacteria. Is MRSA infectious mainly in healthcare facilities? Healthcare-Associated MRSA (HA-MRSA) is especially contagious in hospitals where it is spread from patient to patient. Healthcare facilities contain many sick people in close quarters, making an ideal breeding ground for infections. Open wounds, surgical contamination and doctors and nursing touching many different people make infections even easier to pick up. Find out more about healthcare infections and how to prevent them on our new info-graphic page, answering the “who, what, when, where, why & how” questions about HA-MRSA. Discover “The Top 5 Mistakes” that waste your time and delay your recovery from Staph or MRSA. Enter your name and email below to get your report and our MRSA Staph newsletter. I am committed to protecting your privacy. I will NEVER rent, sell, or misuse your information. Is MRSA transmissible in the community? Yes. In the past, MRSA was solely found in hospitals as HA-MRSA. As the number of hospital infections increased, more and more people brought these bacteria into the community, creating Community-Associated MRSA (CA-MRSA). These bacteria are becoming a serious and growing problem in gyms, schools, prisons, on sports teams and other in other community settings. These infections can be infectious in most any setting where people are either infected or carrying the bacteria. How is MRSA spread? These bacteria can easily enter your body through the lungs, nose, mouth, open cuts on your skin, wounds and surgical sites. The bacteria are easily spreadable on your hands, in some body fluids, on clothing and laundry, on household surfaces and other objects and from direct contact with an infected person. It can also be transmitted to humans from pets (pets pick up the bacteria from humans). A abscess under the skin caused by MRSA bacteria. Photo Credit: CDC/Coignard and Hageman. Many common cleaning, washing and disinfecting products can actually cause more harm than good. And standard hygiene and infection control methods will NOT kill MRSA in the air you breathe. If you’ve struggled with recurring infections, antimicrobial soaps and other common cleaners could be making your infection worse (read more on antibacterial soap dangers). 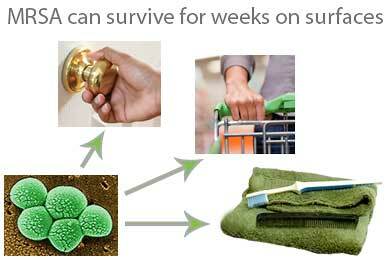 Most standard cleaning and hygiene products are not strong enough to kill MRSA. Some of the most popular products may even cause antibiotic resistance and can weaken your immune system. Effective disinfectants will have a stated kill time for specific bacteria like MRSA or Staph aureus. Cleaning products with harsh chemicals can stress and weaken your defenses over time, making it harder to get rid of infections. While proper hand washing is very important, it is crucial to learn how to protect yourself and your family from bacteria in the air. Some essential oils have been proven to greatly reduce this threat when diffused into the air. Proper wound hygiene and keeping open wounds covered to protect others from catching the infection is also important. And there are many things you can do to boost your natural resistance to infections. You can greatly reduce your risk of catching superbugs by protecting yourself on multiple fronts. The importance of consistent hand washing and good hygiene cannot be overstated as well as proper hygiene with cuts, scrapes and wounds. Taking steps to control bacteria in your laundry, on your pets and in the air is also crucial. In the long run, one of the best things you can do is maintain and strengthen your own natural defenses and use alternative treatments that support your body, not tear it down. MRSA and Staph are serious and potentially life-threatening infections. Antibiotics and conventional medicine often fail against these superbugs. Fortunately, there are powerful natural and alternative remedies for handling these infections. 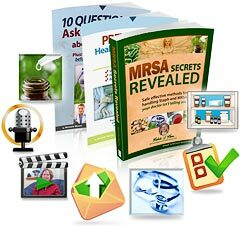 The MRSA Secrets Revealed Program contains Michelle’s 3-Step Infection-Free Method™, a complete how-to guide to naturally stop these infections. It includes the strongest remedies for skin, internal, nose and other types of infection. The program also includes ways you can protect yourself and your family in hospitals and in the community. Get started now by clicking the button below.